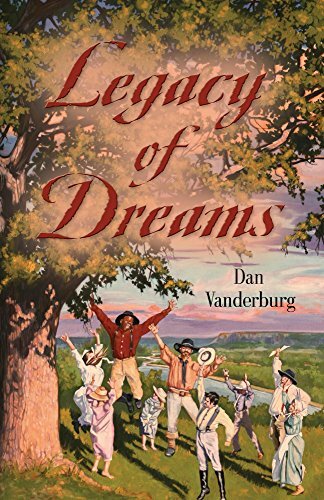 Legacy of Dreams is the first book in Dan Vanderburg’s Texas Legacy family saga and takes you to the raw frontier of Texas, following two courageous young men and the women they love as they build new lives, homes and dreams in their new country. In the spring of 1829 Will Bowman and Jeff Jefferson ride into a world of political unrest, hostile Indians and backbreaking work, but unlimited opportunity. This story explores the concept of freedom at two levels: Jeff’s personal account of slavery and freedom and the story of the Texans and their struggle against the tightening noose of despotism in the Mexican government. It also examines the effects of war from the very personal point of view of Texas families who are drawn into the conflict. Will and Jeff must not only protect their homes and families from the Comanches, they must now join the war for freedom to save Texas from the advancing Mexican army. In such turbulent times, the bond of enduring friendship and loyalty between Will and Jeff and their families inspires a legacy that ties these families together for generations.